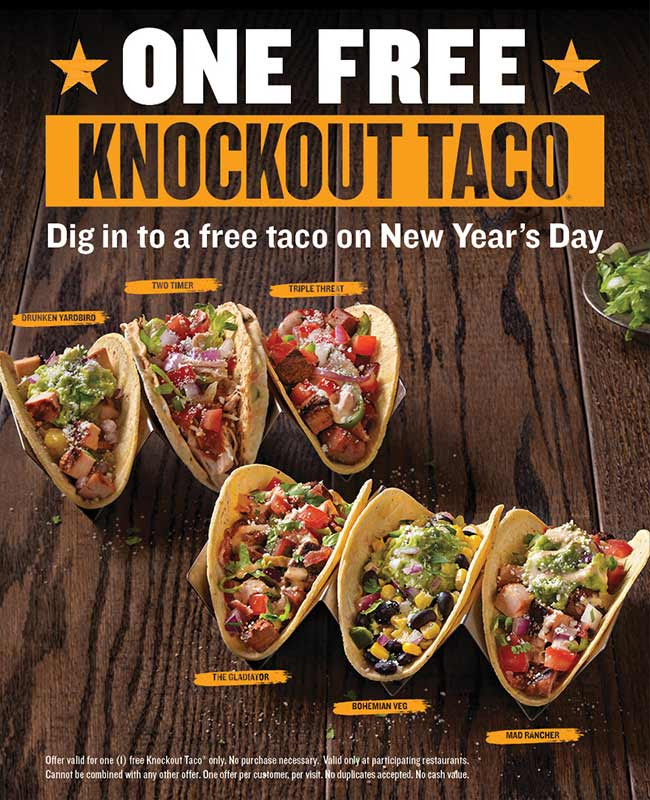 Savvy Spending: Qdoba: Free Knockout Taco on New Years Day! No purchase required! 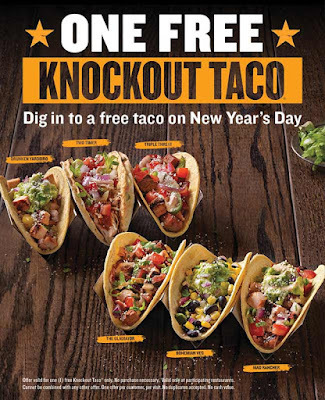 Qdoba: Free Knockout Taco on New Years Day! No purchase required! Qdoba is offering FREE Knockout Tacos on New Years Day! Valid at participating locations; one per person. No purchase necessary!